The Pitt football team announced on its website on Wednesday that former Central Michigan secondary coach Archie Collins will be joining next year’s coaching staff. The NCAA allows football programs to hire up to 10 assistant coaches starting this January. The team has not yet specified what Collins’ positional responsibility will be. Pitt currently has Renaldo Hill on staff in the same position Collins held at Central Michigan. Pitt head coach Pat Narduzzi said Collins would be an impactful addition to Pitt’s 2018 staff. Collins said he was excited to come to Pitt because of both its football history and academic reputation. 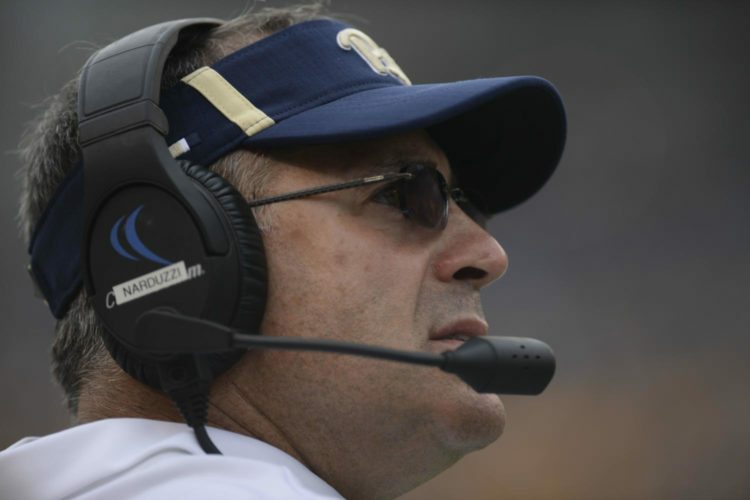 “I’m incredibly honored to join Pat Narduzzi and his staff at the University of Pittsburgh. It really is the best of both worlds: an outstanding academic institution with a rich football tradition to match,” Collins said. With Collins as secondary coach, Central Michigan ranked 20th in the country in passing defense last year — giving up an average of 185.5 passing yards per game. Pitt’s defense ranked 105th in the county in passing yards, giving up an average of 254.2 passing yards per game. With Collins now on staff, Pitt has reached its limit of 10 on-field assistant coaches for the 2018 season.